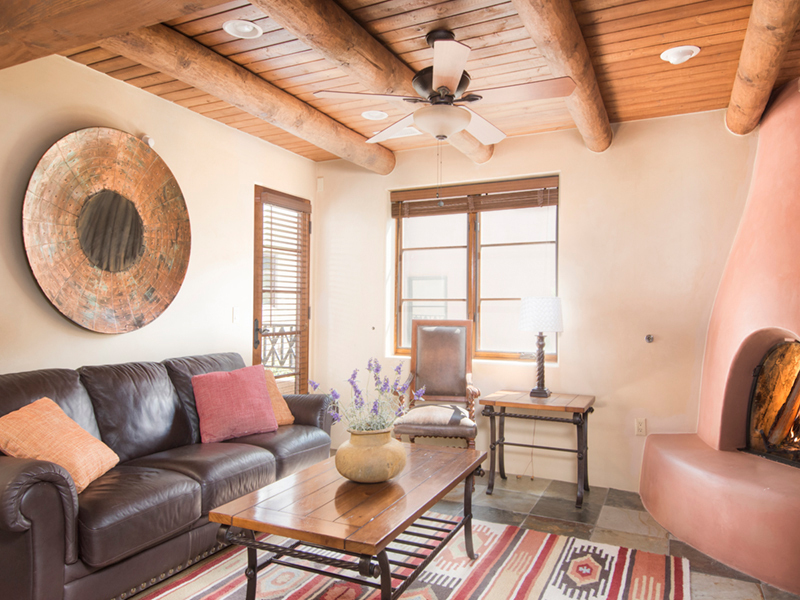 This classic one bedroom, two bath condo is located just a few blocks from the historic Santa Fe as well as dining, museums, galleries and shopping! The living space is up a flight of stairs as you enter; there you will find a warm and nurturing environment that can sleep up to 6 guests. 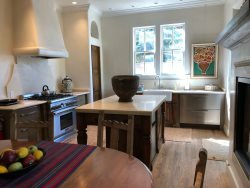 Downtown Delight offers approximately 1000 sq. ft. of living space with an open living/dining concept. 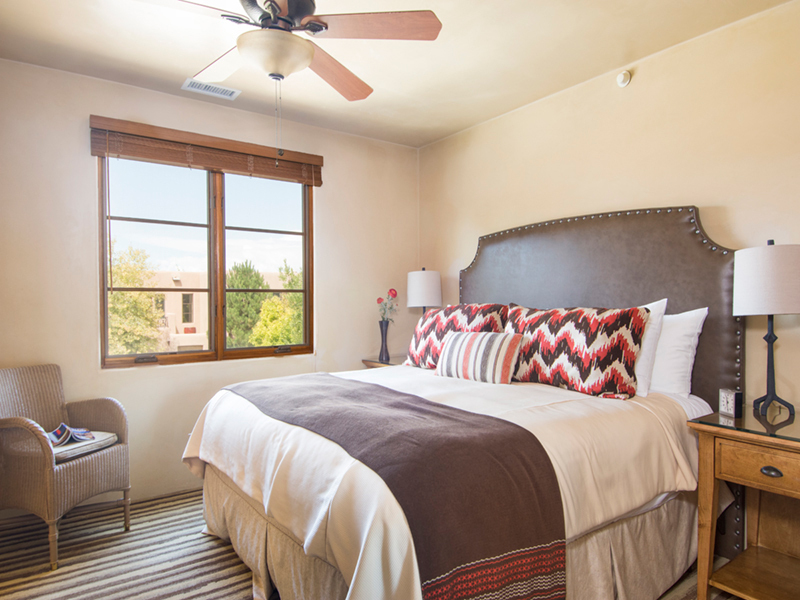 The luxurious bedroom has a king bed, TV and full bath, walk-in shower and Jacuzzi tub. Off the living room you will be welcomed to a cozy den with sofa bed. The living area has comfortable seating around the fireplace and is open to the luxurious kitchen with top of the line appliances. In addition there is a second bath with walk in shower to accommodate any overflow from the den as well as living room sofa bed. The staff was very responsive to every need. The property is located in a great ares. Museums, restaurants, theaters and shops are within walking distance. The rental property has everything one would need for either a short or long term stay.